The People's Republic of the Marchen is the backdrop to a number of loosely linked but stand alone short stories I've written set against in a kind of post revolutionary Stalinist fairy tale state. The characters in the stories are drawn from traditional folk tales and nursery rhymes and each story tells of how the revolution and the edicts of the regime impact on them, either for better or worse. 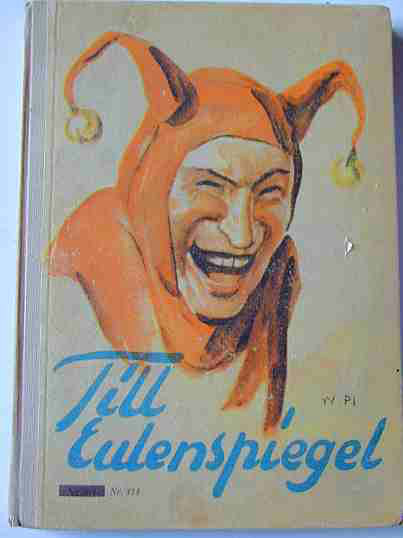 Omnipresent in all of the stories is the charismatic leader of the revolution, the trickster, Till Eulenspiegel. Till Eulenspiegel was the subject of a collection of folk tales originating from the Brunswick area of Germany, sometimes known collectively as The Amazing Pranks of Till Eulenspiegel. Eulenspiegel is often depicted dressed in a jester’s costume and most of his stories show him using cunning ruses to outwit all sorts of folk, from tradesmen and innkeepers to priests and princes. I thought he would be the perfect figurehead for a revolution in the land of fairytales. Stories set in the People's Republic of the Marchen can be found here.